I participated in this sponsored campaign on behalf of Firefly® and One2One Network. 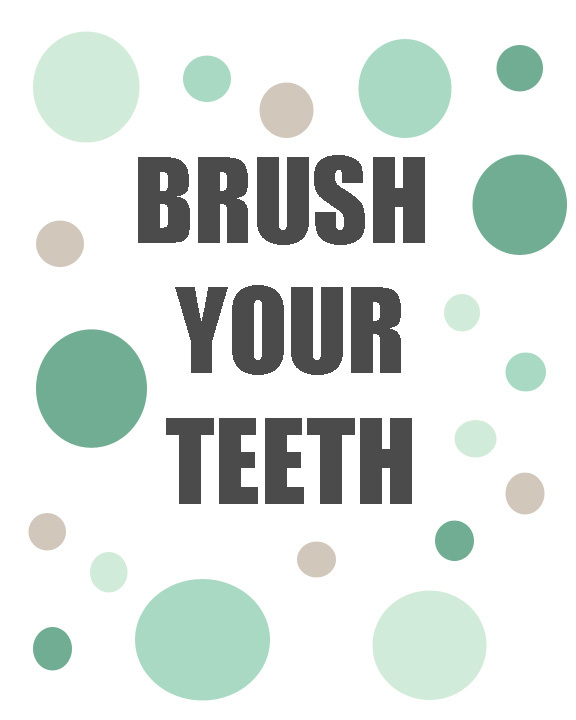 All opinions stated, and these Brush Your Teeth Printables, are my own. Teeth brushing is a battle with my daughter. The boys are still young enough to think brushing their teeth is a fun time, but my daughter finds it to be a chore. I insist that she brush a minimum of twice a day, but she lets me know in no uncertain terms that she is not happy about it. 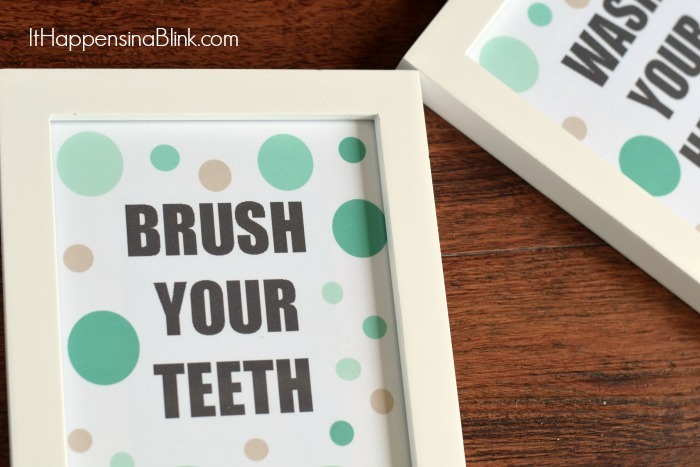 I’ve seen several cute Brush Your Teeth printables floating around blogland, and I decided to create one for my daughter’s bathroom. Now, I can tell her to brush her teeth AND she can read it. Ha! I’m pairing her new bathroom decor with a few new items to turn her oral care time from dreadful to fun! I’m including these printables below for any of my readers to print and use, as desired. To download them, right click the photo below to save it to your computer. I’ve designed the printables in a 8×10 size, but I actually printed my own at a 5×7. Use a nice quality card stock. 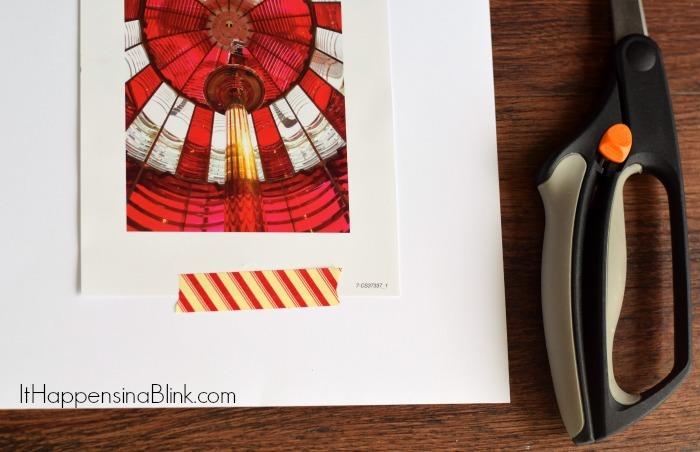 To cut the printables to the size of the frame, I utilize the insert in the frame as a cutting guide. Insert them into frame, and that’s it! 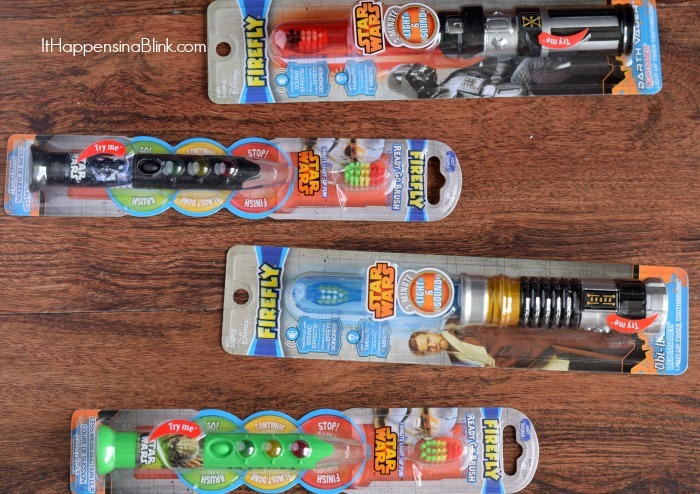 My kiddos have also been trying out the Firefly Star Wars and Hello Kitty toothbrushes for a week. These toothbrushes are awesome for making oral care fun! 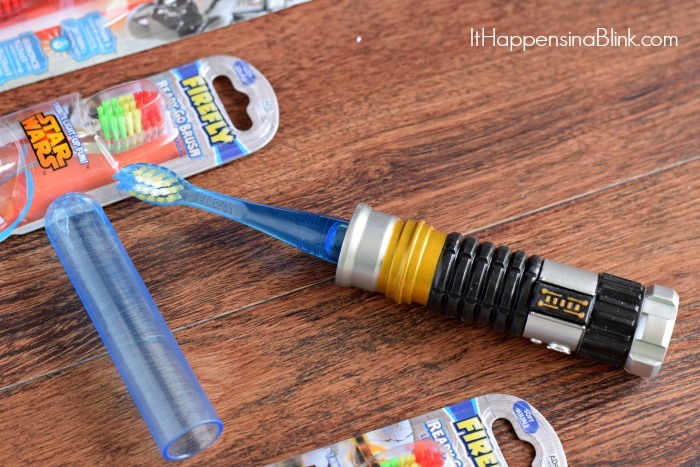 For Star Wars fans, the Firefly® Star Wars Darth Vader Light Saber Toothbrush and the Firefly® Star Wars Obiwan Light Saber Toothbrush make light saber sounds that my boys found mesmerizing. Thank heavens they each have their own or they would be fighting over them for sure! The Firefly Ready Go Brushes have interactive flashing lights guides my kids through 60-seconds of brushing for each row of teeth. My daughter loves this feature! I’m a fan of the protective caps over the light saber toothbrushes and the suction cups on the Ready Go Brushes that keep the brush head clean. The Firefly Fun Pump mouth rinse (which my daughter claims is delicious) comes with a no-mess cup. 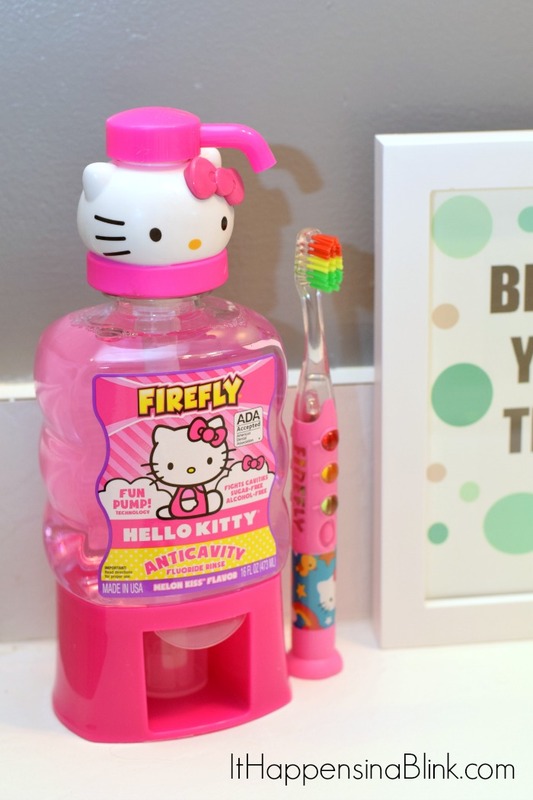 The Firefly products encourage my daughter to brush without my nagging her. They promote oral care, and when she sees her new “Brush Your Teeth” sign, she can smile because she already has. Want a chance at winning a free trip? Enter to win a trip for 4 to a California theme park with the Firefly #BrushBattle sweepstakes! My daughter used to have a firefly toothbrush, but I haven’t been able to find them in the stores recently. They’re really helpful in making brushing more fun. The one she used to have was plain and simple, but these newer ones are super cool!